This is a case decided by Recorder Howe QC, and it is not binding precedent, and also of course it turns on the individual facts of the case, but it does seem to me to have wider interest and implications on what the medical professionals said about whether a fall from a low level height could cause the sort of bleeding on the brain (subdural haematomas) which are often linked with non-accidental shaking injury. There was also a skull fracture about a month later. In this case, the parents account was that the only incident of note was the child, 11 months old, had been standing, holding onto the back of a chair for support and had fallen backwards and banged his head on a laminate floor. The skull fracture they say was caused when the child fell and hit his head on a kerb. Could that have caused the serious injuries that he sustained? Regulars may have picked up that there is a lot of controversy about subdural haematomas and how they might be caused and whether there can, in some cases, be a more benign explanation. The subject even made the national news when Dr Waney Squier was struck off by the GMC for having a view that they considered to be out of step with mainstream thinking. Here is what the experts said on this case, and I think it is very candid about the limitations of medical science and that the field develops and moves on. As indicated earlier, much of what is said relates to the very particular set of circumstances of this particular case, but some passages have potential wider interest. I’ve tried to underline these. I have had the advantage of written and oral evidence (by video link) from 3 very experienced experts who regularly provide reports for family and criminal court proceedings. Dr Patrick Cartlidge is a Consultant Paediatrician, a senior examiner for the Royal College of Paediatricians and Child Health and a senior examiner for Cardiff University. Dr Alan Sprigg is a Consultant Paediatric Radiologist based at Sheffield Children’s Hospital with a special interest in the imaging of suspected non-accidental injury involving cranial and skeletal injury. Mr Peter Richards is a Paediatric Neurosurgeon based at The John Radcliffe Hospital in Oxford hospital. All 3 experts maintain clinical NHS practices in addition to their medico-legal work and are very well placed due to their qualifications, years of experience and current clinical work to provide expert opinion concerning the likely causes of the injuries suffered by N.
The 3 experts participated in an experts’ meeting on 11 th February 2016 and the transcript of that meeting is found at E152 of the court bundle. The transcript records a very large measure of agreement between the experts that can be summarized in relatively short form. All 3 experts accepted that the fall described by the parents on 9 th August 2015 could cause the intracranial injuries discovered [the August injury], although such significant injury from a fall from standing would be very unusual. Mr Richards was of the opinion that the significant interference with the functioning of the brain was also very unusual from such a low fall. Despite the unusual features, the experts would accept the account given for the August injury to be a credible explanation. Concerning the September injury, the experts agreed that no convincing explanation had been given as to how N had suffered this fracture. They were all of the opinion that the explanations offered by the parents were very unlikely to cause a skull fracture and, in the absence of a credible explanation, this was likely to be an inflicted injury. They were all of the view that, as the September injury was more likely to have been non-accidental, when taken together with the unusual features of the August injury, this increased the likelihood of the August injury also being caused by an inflicted event. When giving their oral evidence, what had appeared to be a large measure of agreement between the experts did, due to the well targeted and effective questions put to them by all 4 advocates, fall away with respect to a number of important matters. This was not, in my judgment, wholly unsurprising given that each expert answered the questions from the perspective of their own particular specialisms and their own clinical and medico-legal experience. However, the divergence of views produced an additional element of complexity to the determination of the local authority’s allegations against the parents in this already complex case. For the local authority to succeed on the primary threshold findings it seeks, it has to prove on the balance of probabilities that the explanations provided by the parents are not how these injuries were caused. It is not for the parents to prove that the injuries were caused by the low level falls that they have described. When he gave his oral evidence, Mr Richards said the following [my note]: “This is a debate [whether low level falls can cause intracranial injury] that is lively at the moment. I was recently in a telephone conference involving a number of experts. Dr Cartlidge was involved and making a point about these cases and there were some rather heated exchanges about the possibility of low level falls causing serious injury. The vast majority of low level falls are not imaged. Of those that are, neuro-radiologists will say that low level falls, of the type N had, cannot cause multi-compartment bleeding and, therefore, the story given by the parents must be untrue. I, like Dr Cartlidge, say ‘can you say that on the data we have’? I say we don’t know. A decade ago, apart from the babies that died, it was said that birth did not cause subdural haemorrhages. 3 research projects have now demonstrated that it does and it is now universally accepted that birth causes subdural haemorrhages in about 50% of babies. The medical profession were wrong before. Low-level falls may be similar. We can’t do routine MRI scans of children of this age as they have to be given anaesthetic to keep them still. The reason that these children are not imaged is because the majority just get up from a fall and have no injury. Very few have any disturbance for 1 or 2 days and even fewer for a longer period”. In his report to the court, Dr Cartlidge said, at page 19, ” It is probably very unusual for such a short-distance fall to cause subdural bleeding, although I agree with Mr Richards that it could be more common than currently appreciated since neuro-imaging might not be undertaken in such cases. I have professional experience of a similar low-distance fall causing subdural bleeding in two infants (findings of Family Courts). Initial symptoms in my experience are often akin to those seen in reflex­ anoxic episodes. 1 case involved a 42-week old who fell about 65 cm from a bed. There was a brief acute encephalopathy (interference with the functioning of the brain), subdural bleeding over a cerebral hemisphere and in the posterior fossa (the part of the brain at the top of the brain stem underneath the cerebral hemispheres) and acute traumatic effusion (an acute effusion appears similar to chronic subdural haemorrhage on the initial CT scan (as black fluid) but is due to an acute tear/rent in the arachnoid membrane allowing normal cerebrospinal fluid (seen as black on CT scans) from the subarachnoid space to cross into the potential subdural space. This causes a black fluid collection of cerebrospinal fluid (CSF) in the subdural space due to recent trauma that mimics the appearance of an old subdural haemorrhage from a prior injury). There was subdural blood in the thoracic, lumbar and sacral spine and bilateral retinal haemorrhages. The Family Court found the injuries to be accidental. A second case involved a 35-week old who fell from standing (about 70 cm). There was acute encephalopathy after initial crying for some 2 minutes and a large subdural haematoma (space-occupying). There were also retinal haemorrhages. The Family Court found the injuries to be accidental. In the 3 rd case a 52-week old fell from standing (about 70-75 cm). There was mild or possibly absent acute encephalopathy. Subdural bleeding was present over a cerebral hemisphere and in the posterior fossa. Acute traumatic effusion was present. There was subdural blood in the lumbar spine and bilateral retinal haemorrhages. The Family Court found the injuries to be accidental. I must decide the facts in this case on the evidence that I have heard about this child and not be swayed by comparisons to other cases involving different children and different facts. However, Dr Cartlidge’s purpose in highlighting these other cases was to provide clear examples to support his opinion that children can suffer what he described as ‘nasty intracranial injuries’ when falling from standing. At page 21 of his report, Dr Sprigg says “Subdural haemorrhages may occur following a known traumatic event involving a significant impact, e.g. being dropped forcibly onto the baby’s head from a significant height or hitting a hard object at speed. In older children they can occur during accidents -eg getting knocked over by a car. They are exceptionally rare from low-level domestic falls in infants. The site of bleed in accidental injury is usually physically related to the site of impact over the cerebral hemisphere. Subdural bleeds in non-accidental injury are more often over both hemispheres and may also be seen in the posterior fossa near the cerebellum near to the craniocervical junction. This is a rare site for accidental trauma”. At page 13 of his report, Dr Sprigg sets out “the finding of posterior fossa bleeding is more commonly seen in non-accidental head injury (NAHI) but it is recognised in significant accidental impact to the back of the head”. In his oral evidence, Dr Sprigg told me that the bleeding seen on the scans was consistent with a shake or an acceleration/deceleration event. He said that there was bleeding over both sides of brain and at the base of the brain. His evidence was that this is a pattern that is commonly seen in shaking cases but it can also occur if there is a significant bang to the back of the head. “A fall to the floor as described is acknowledged as a mechanism that can cause this intracranial injury. Most children would not suffer any injury from such a fall. Some may suffer a skull fracture. It is uncommon to find bleeding over both hemispheres and at the cerebellum but it is possible. If the history had been that he fell on his forehead, I wouldn’t agree that the explanation was consistent but as he fell onto the back of his head, where all the veins gather and is an area vulnerable to injury, it is a credible account. Had this occurred at our hospital, it would have been said that this was feasible”. Having heard all 3 experts give their oral evidence, I formed the clear impression that they were each open to the real possibility of such low level falls, of the kind described by M and F as occurring on 9 th August 2015, causing the intracranial injuries seen on the 11 th August scans. Indeed, Mr Richards and Dr Cartlidge were more open to this kind of mechanism being an accurate account for the causation of such significant bleeding than they would have been in years past. There was no hint of dogmatism from any of the 3 experts; they were open to considering both the rare and the unusual. Mr Richards, Dr Cartlidge and Dr Sprigg carried this openness to considering the unusual and rare through to their consideration of the potential causes of the skull fracture discovered on 14 th September. “A skull fracture is commonly due to a forceful impact. This may be due to the head hitting something hard, or a hard object hitting the head with significant force. An infant may have an accidental skull fracture but this depends on its level of mobility. For example, a two month old baby is not sufficiently mobile to self inflict a skull fracture, but a ten-month old that is crawling and falls downstairs might self inflict a skull fracture. An infant’s skull is flexible and tends to bend rather than fracture. It takes significant force to fracture an infant’s skull. As a generalisation under 1-2% of infants will sustain a skull fracture if they are dropped from below adult waist height. However, if the fall is from a greater height this is more likely to produce a fracture than a low level fall. When the fall is onto a hard surface (eg concrete or laminate flooring) versus a more compliant surface (eg carpet with under-felt over floorboards) then the harder surface increases the chance of fracture. A free fall (drop) involves less force of impact than if a baby is thrown down. Occasionally skull fractures occur related to birth. They are uncommon, but have a higher incidence in a difficult forceps delivery than ventouse or than in normal vaginal delivery of a normal sized baby”. When he gave his oral evidence, Dr Sprigg was of the opinion that either fall described by M (from sitting or from standing) [the September injury] would be unlikely to cause this skull fracture but could not be excluded as impossible. When answering questions from Ms McFadyen, he told me “If this was an isolated event and the history was that he had fallen over to the right and had come straight into casualty, it would be accepted as an accidental event. There is a skull fracture rate of below 1 to 2 % if a fall is from below adult waist height but had he been presented quickly with a consistent history, the explanation might have been accepted”. Mr Richards’ mind was similarly open to the possibility of the fall as described by M being a possible cause of the skull fracture. He told me that a low level fall would be unusual for causing a skull fracture and a drop of about 82 cm is usually required to cause a fracture from research undertaken with deceased infants. However, he would not rule it out as impossible but it would be a very rare event. Similarly, Dr Cartlidge would not rule-out any event as being impossible but was more sceptical that the simple fall, of either type described by the mother, would cause a skull fracture. It was put to him that it may have been that N fell and hit his head on the kerb. When considering this scenario, Dr Cartlidge said [my note] “the right side of the head is the site of the fracture. The shoulder is in the way and for the shoulder not to be in the way, I struggle to see how the right side of head would bear the full brunt of the force of the fall but if you get over that and the head pivots over his neck and hits the edge of the kerb, that could cause the fracture”. That was about as close as Dr Cartlidge would be drawn toward accepting that the fall described was, of itself, a possible mechanism. Having considered the fall proposed for the September injury in isolation, each expert relied on important contextual facts as indicating that the fall described on 6 th September 2015 would not have caused the fracture to N’s skull. Establishing a timeframe for the causation of the skull fracture and identifying whether the evidence reasonably excludes the 6 th September, a date some 8 days before the fracture was discovered on the scans as a day within that timescale, is a crucial matter for the court to consider when determining whether the local authority has proved that this alleged fall was not responsible for the skull fracture. When looking at the timing of skull fractures, there was no dispute between the experts as to limits of radiological evidence. Dr Sprigg described in his oral evidence that once a skull fracture is present, it can be seen for 3 to 6 months on the x ray, as there is no healing periosteal reaction. He said that the fracture can only be said to be recent if there is swelling present over it and that swelling is present for around 7 to a maximum of 10 days. The identification of scalp swelling, what type of scalp swelling was present and how long a swelling would be present became an issue between the experts upon which they did not agree. In addition to the identification of swelling, all 3 experts agreed that the clinical presentation and the clinical history was crucial in identifying a reliable timescale for the causation of a skull fracture. The immediate pain reaction of a child was a matter upon which the experts agreed however, the duration of a visible pain reaction when touching the site of injury, and its relevance to the timeframe for the injury, was not a matter upon which Mr Richards and Dr Cartlidge agreed. In this case, the threshold was found to be satisfied in relation to the skull fracture in September 2015 (changed from previous inaccurate year on my part), the evidence of the parents being a relevant factor and the lies that they were found to have told about various matters. There was not a finding that they had caused an injury in August by shaking the child and the Judge was satisfied by the parents explanation for this injury. 141. As already described, N was admitted to hospital on 9 th August 2015. M and F gave an account of him falling and hitting his head. The treating doctors at Birmingham Children’s Hospital accepted that the fall described was an acceptable explanation for N’s presentation. I have heard evidence from Mr Richards, Dr Cartlidge and Dr Sprigg and all 3 experts would accept that the fall described could account for the subdural bleeding found. Mr Richards says at §2.4 on E66 that there was no evidence of impact either clinically or on neurological imaging and he thought that unusual given that N’s behaviour was disturbed for so many days. He also thought it very unusual that such a low fall would, of itself, cause such significant symptoms. In his oral evidence he said subdural haemorrhages can have no symptoms at all and those seen on N’s scans were very thin and not compressing the brain. He said there was no other brain injury so, would not expect the haemorrhages to cause any symptoms at all, the symptoms have come from the way the brain was functioning and it was not functioning right with for 5 or 6 days. It was Mr Richard’s opinion that such a level of disturbance would require a harder bang on the head. He said that he would only expect to see disturbance of brain function of 24 to 48 hours so disturbance for longer would be consistent with a harder level of force. He said it was very very unusual if this was caused by this the low level fall. Dr Cartlidge and Dr Sprigg in the expert’s meeting on 11 th February and in their oral evidence acknowledged the unusual features of the case as outlined by Mr Richards but all 3 experts accepted the fall described as a possible mechanism for N’s presentation. I understand the approach taken by the experts that the unsatisfactory nature of the explanation given by the parents for September injury increases the likelihood of the August injury being an inflicted event. However, I have had the advantage of seeing MK give evidence. This was a witnessed fall and not, in my judgment, an event that has been invented. I find that there is no evidence of any other intervening event that has caused this injury and the local authority is simply speculating that M must have injured N at some point overnight or during the day on 10 th August. N’s presentation was consistent with a pattern recognised by Dr Cartlidge and although the experts could not exclude a 2 nd event, they were of opinion that one event was the most likely explanation. I accept their expert opinion and find that the one event that was witnessed by MK caused this August injury. Posted in case law, experts, fact finding and tagged 2016 EWFC B29, expert witness, medical evidence, non-accidental injury, Re N A child low level falls 2016, Recorder Howe QC, shaking injury, subdural haematoma. Bookmark the permalink. On 1st January 2014, a little boy was rushed to hospital. He was seven months old at the time and had stopped breathing. The hospital examined him and found that he had bleeding inside his brain (what is called a subdural haematoma) and bleeding in his eyes (what are called retinal haemorrhages). Those things are commonly associated with a child having been shaken. Older readers may recall the trial of Louise Woodward, an English girl acting as a nanny in America, who was on trial for murder as a result of a baby who died with those presentations. The hospital at the time made a diagnosis that the boy had suffered injuries to the brain as a result of having been shaken. The Local Authority issued care proceedings (very quickly) and the Court went on to hear the evidence and make the decision. 1. Did this child stop breathing and mother then shook him (too hard) in an understandable attempt to revive him? 2. Did one of his parents pick him up and shake him, causing the injuries? What happened in this case, when the finding of fact hearing took place, is that the lead medical expert wanted to know more detail about the parents evidence about the night in question, and having done so, gave his opinion that what they described was wholly consistent with explanation 1, which is what they said had happened. At the end of the evidence, when the Local Authority were making their submissions, they indicated that they were in agreement that what had happened was version 1 – what the parents had said. The Judge told them that he agreed and that they were right to have accepted that. That innocent action, though it had terrible consequences for N, was not something that amounted to threshold, and so N would return home to his parents. The reason why it is only happy(ish) rather than happy, is that the judgment on this case did not get delivered until the end of November 2014 (published today), and so N was living apart from his family for around eleven months whilst this all got sorted out. That seems a dreadfully long time. This is the other side of the coin in the 26 week debate – I grouse all the time about how 26 weeks can be unfair to parents, but if you were these parents, you would really want the case to be finished as soon as possible, because they did nothing wrong but had to live apart from their sick child until the Court could hear the evidence and the truth emerge. It isn’t really clear from the judgment why it all took so long, but these cases are not easy to deal with. Experts have to be identified and to report, all the records have to be tracked down, where the case is in the High Court it can be difficult to find the time for long hearings. It all adds up. I don’t know whether anyone has ever done follow-up studies on the impact of children on being apart from their family for this sort of length of time and then successfully rehabilitated. We tend to just walk away thinking of the happy outcome, but it must be really hard for everyone involved to adjust. This young boy of course now has life-altering consequences from his tragic injury, and that’s hard in itself; but you also have two parents who love him who missed out on 11 months of his 17 month life. Will that just repair itself, or will there be knock-on effects on the family for years to come? I hope not, and I wish them all well. Posted in assessment of risk, case law, fact finding and tagged keehan j, re n, retinal haemorrhage, shaking injury, subdural bleed, subdural haematoma, the triad. Bookmark the permalink. The two features of the classic “Triad” which were present here were a subdural bleed in the brain of the child and retinal haemorrhages. One never wants to see those injuries in a child, and for a long time they have been warning indicators that whatever had happened to the child might require the Courts to become involved, not just doctors. The judgment begins by saying that the LA involved were right to bring the case, that they would have been badly criticised if they had not done so, and though the Judge is disappointed that the fact-finding hearing took some eight months to get going he attributes no blame to any of the parties. The local authority, who through Miss Heaton QC has conducted its case professionally, coolly, and responsibly, argues also that this was not a case of an assault coming out of a clear blue sky perpetrated by a man of unblemished character. Rather, they say that this father is a man with criminal convictions for unprovoked assaults who had at least once prior to the incident assaulted the mother by placing his hands around her throat. Since the incident he has done the same thing again. He had recently lost his job and they were all living in inadequate cramped accommodation. There were plenty of stressors here, it says, which in combination with the father’s aggressive and impulsive personality should lead me to disbelieve him and to conclude in conformity with Mr Newman (in particular) that this was indeed a case of abusive assault. On the other hand, some of the medical evidence suggests that this was an assault, although it is fair to say that the experts do not speak with one voice. The expert consultant paediatric ophthalmologist, Mr Newman, believes it is very much more likely than not that these retinal haemorrhages, both in their type and plenitude, are indicative of non-accidental injury. The expert neonatologist, Professor Wyatt, believes it is more likely than not that this was a non-accidental injury, although his degree of certitude is far less firm. However each of these experts accepts that it is possible that the father’s explanation furnishes the true reason for the injuries. The expert paediatrician, Dr Samuels, and the expert paediatric neurosurgeon, Mr Richards, are more equivocal and each believes that the competing scenarios are equally likely. The father’s account was that he had got up to tend to the child in the night and had tripped and fallen on the child. It is agreed that the case really boils down to the question of whether I believe the father or not. If I believe his story that this was an accident where he tripped and fell when holding N then that is the end of it. That story is not incompatible with the expert evidence. Mr Newman, while believing it to be highly unlikely does not rule it out. The other experts, more or less, believe that it is about as likely as the assault theory. The Judge summarised current medical thinking in relation to subdural bleeds and retinal haemorrhages, and this will be useful to anyone involved in such a case. It has been some years since I was last involved in an alleged “shaking” injury case, and I cross my fingers that I never see another, but things have certainly developed very significantly since my last one. Underlining here mine for emphasis. i) The presence of subdural and retinal haemorrhages, and for that matter encephalopathy (which taken together constitute the famous “triad” referred to in the jurisprudence and the medical literature), do not of themselves prove anything other than the infliction of a head injury. As Mr Richards said, the triad is an indicator of injury only, not of how it occurred. iii) In the realm of subdural bleeds there seems to have been a relatively recent shift away from the prevailing orthodoxy. Not so very long ago the presence of a subdural haemorrhage in a recently born child was taken to be strongly indicative of abuse unless the birth was especially traumatic. On the basis of this supposition very many children will have been permanently separated from their parents. Yet, authoritative research over the last decade has demonstrated that this supposition is false. The Rooks paper in 2008 was the last of three important pieces of research and showed that no fewer than 46% of normal births caused subdural bleeding. We now know that many appalling miscarriages of justice must have been perpetrated in reliance on the old, now discredited, orthodoxy. Further, current medical and clinical thinking is now prepared to accept that short falls can in many cases cause subdural bleeds; the view that this could only happen exceptionally is now regarded as outdated. As Mr Richards said to me (and this chimes with the judicial opinions cited by me at para 8(ix) above as well as with Secretary Rumsfeld’s famous apothegm about unknowns) “the more you know the more you know you don’t know”. There are a number of important things in those passages. Mostyn J makes the very good point that the CT scans and eye examinations tend to be done in cases where abuse is suspected or really serious injuries observed. One knows therefore that the symptoms are present in such cases, but what one doesn’t know is whether they may have been present in much milder cases, such as falls from short heights or accidents. Also that medical orthodoxy has shifted considerably in recent years in relation to subdural bleeds (the figure of how frequent these are in births made me blink, and I dare say it might make others do the same) and it seems that we may be at an early stage on the same path in relation to retinal haemorrhages. There were four very heavyweight experts in this case, drawn from a variety of disciplines. Their evidence was necessary for the Judge to reach a proper finding, and one hopes that the drive towards less experts and faster resolution (remember, this finding of fact hearing took two months longer than the entire duration of proceedings that we are meant to be aiming for) doesn’t end with investigations of this type in future not being sufficiently thorough. I therefore now state my final conclusions. I am of the opinion that a schism is beginning to form between the subdural and retinal disciplines concerning the forces involved in low level falls. I agree with the submission made by Mr Storey QC that in some respects the medical evidence given on behalf of the respective disciplines is irreconcilable. I remind myself that medical science is always moving on. It was not that long ago that the bleeding of patients and the use of leeches was de rigueur. Given the striking differences of emphasis and approach by the two disciplines it would in my judgment be dangerous for me to judge this case predominantly by reference to the mainstream orthodox opinion of Mr Newman particularly where there is research in the wings which may question that orthodoxy. If Mr Newman had not made his contribution I doubt whether this case would have been pursued after the subdural reports were in. So my overall assessment of the medical evidence looked at in isolation is that it does not provide me with a sure or firm basis on which to conclude that it was more likely than not that these injuries were caused abusively. In my opinion the absence of any of the tell-tale concomitant injuries which so often feature in shaking cases is important in helping me to inform the judgment which I must make. I do not know how the medical profession will resolve the statistical conundrum to which I have referred. Obviously children who have suffered minor falls cannot be routinely scanned and tested ophthalmologically. But until the data referable to these minor falls has been assembled I do not see how a statistically valid survey can be undertaken which can authentically and rationally conclude whether such falls do, or do not, regularly give rise to retinal and subdural haemorrhaging. Further, in order for the empirical work to be sufficiently persuasive to lead to the very serious findings that are sought here there surely has to be a discrimination between short falls from a standing start and the sort of fall described here which must have involved considerable horizontal, vertical and rotational forces. Yet so far as I am aware no such discrimination is made in the medical literature. And so I turn to the credibility of the father. I do not form the same adverse view of him as a man and a parent as that advanced by the local authority. He has very obvious flaws; but he has qualities also. I judge him to be truthful in his evidence to me, but I have to be alive to the possibility that he is a highly accomplished liar capable of embellishing a pack of lies with convincing snippets of circumstantial detail and by affecting displays of emotion. However in this particular regard I am assisted by the stance of the mother who is represented by the highest quality counsel and solicitors. Having heard all the evidence, having received appropriate advice, and knowing the father better than anyone in the courtroom, she firmly believes that he is telling the truth. In judging the father’s credibility I do not place any weight on his criminal record as being suggestive of a propensity to assault his infant daughter. The crimes in question, while deplorable, are of a totally different character to the one alleged here. By the same token I do not derive any assistance in my task from the two ugly and unpleasant incidents where the father manhandled the mother. Again, this conduct, which is much to be deprecated, is in a class apart from the conduct which is alleged here. Further, I do not accept that this was a family beset by stress. In fact the evidence shows that the family was living a mundane quotidian existence where the focus of attention of the parents was their beloved daughter. If this was a case of abuse then it was a very bad case indeed because it would not only have involved a violent shaking but then the hurling of N, or the bashing of her face, against a hard surface. It would have been an assault in two parts. This takes the theory beyond a momentary loss of self-control into the territory of sheer malignity. I consider this to be unlikely. On the other hand the father’s account is perfectly consistent with both the haemorrhages and the facial wounds. Mr Rowley QC submitted, that when looking at this aspect the process of logical reasoning known as Occam’s Razor favours the father’s case. I agree. Further, there are aspects to the local authority’s theory that are problematic. If N was crying loudly and incessantly, so much so that the father snapped and brutally assaulted her in the manner alleged, then why did these cries not wake the mother up? If N was crying loudly and incessantly why did the father not simply take her upstairs to her mother? No satisfactory answers to these questions were given to me. Despite those slight qualms about the final summation, this is a very rigorous judgment, drawing together some important strands and highlighting the tension between medical thinking on subdural bleeds and retinal haemorrhages and that there is research around or forthcoming which challenges the orthodox view on the latter. This case is likely to be a good starting point for any lawyer faced with a case involving such injuries. Posted in Uncategorized and tagged developing medical thinking on brain injuries, finding of fact, lancashire county council and r 2013, retinal haemorrhage, subdural bleed, subdural haematoma. Bookmark the permalink. Some thoughts arising from the Evidence in Child Abuse Cases #ECAC course I attended today. Firstly, it was an excellent course, and had a lot of fresh and useful material. It was a genuine pleasure to hear Jo Delahunty QC (who is like the most charming intelligent surgical scalpel you will ever meet) speak on the Al Alas Wray case (which I’ve blogged about before – here : – https://suesspiciousminds.com/2012/04/24/subdural-haematomas-fractures-and-rickets/ as she was leading counsel for one of the parents, and so had a wealth of useful insights and tactics to put forward. Secondly, there was a paediatric neuroradiologist sitting in front of me who is DEFINITELY going to get instructed next time I need one. Likewise the paediatric neurosurgeon. And no, I’m not sharing names, because I want them to be available when I call them. 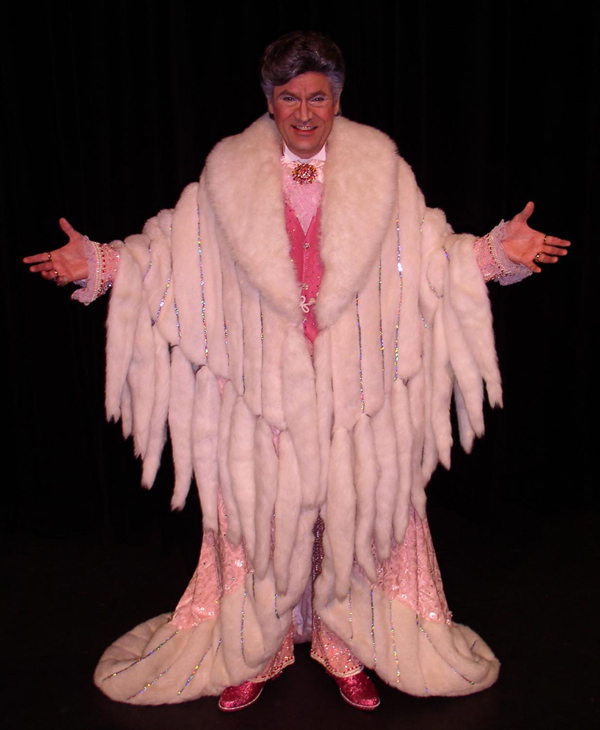 Liberace sued them for libel. (he couldn’t, presumably, sue them for being homophobic jerks, because this was the Fifties). He won his case,won about £15,000 (which in those days was at least several houses) and coined his expression “I cried all the way to the bank”. Now, as you probably know, truth is a defence to libel. So, someone, representing the Mirror, went to Court, and tried to persuade the Court that it was true that Liberace was gay. And failed. Feel free to look back at the photograph, which would have been my exhibit one. I suspect whoever had that brief for the Mirror put on a tie with a smile on his face, and walked to Court with a spring in his step that day. They didn’t know much about basketball in those days, so the phrase “slam dunk” was meaningless to them, but if there was ever a slam dunk, that was it. So I occasionally like to ponder the mixed feelings of the two counsel on that case – one with a mountain to climb who did so, and one with what looked like a molehill to step over, who fell over it. The Al Alas Wray case is of course, not in that same league. For one thing (and I am sorry if this crushes any illusions) , Liberace really was gay, so shouldn’t have won; and the odds weren’t quite so slanted, but still, one is expected to think as counsel seeking the findings with the great and the good of Britain’s medicine lined up behind you, that you will see off these fancy American experts with their crazy theories, but it was not to be. But the reason it was not to be, and this really came home today, listening to Jo Delahunty QC, is that people involved put in huge amounts of work. Medical reports weren’t just obtained and copied, or read through, they were digested and tough questions formulated arising out of them. The truth came out, but it wasn’t like finding a doorkey under a doormat – just a quick bit of lifting and there it is – this was truth obtained by painstaking forensic analysis. And what was clear to everyone in the course was that Al Alas Wray might well represent the high watermark of when English family justice meant just that, that a person wrongly accused has the weight and resources of the law behind them and has the chance at a fair trial. A similar case in two years time, is not going to get the experts that are needed, the time that each expert needs to read the source material, the ability to call and test that evidence (it seems pretty clear that cross-examining experts will be a rarity even when you do get to instruct one) and certainly isn’t going to have the period of time it takes to do a case like that properly. There was some interesting discussion about head injuries, and the medical research on lucidity. A key piece of research, which offsets the previous position of Chadwick 1997 that “If a history purports a lucid interval that history is likely false and the injury is likely inflicted” was Denton and Mileusnic 2003 where the child suffered a witnessed fall backwards 3 feet onto vinyl floor, was fine and tragically died 3 days later. Frankly, Phineas Gage is a better example particularly as we’re talking head injuries, and his story is fascinating if you haven’t already read it. He was a railway worker, who suffered a serious head injury, destroying his left frontal lobe which changed his entire personality, and is pretty much the beginnings of neuroscience, and moved us from reading bumps on people’s heads to finding out which bits of the brain do what. Posted in case law, experts, fact finding and tagged al alas wray, head injuries, liberace, phineas gage, subdural haematoma, the R bomb. Bookmark the permalink. would be hard to be bettered. But Islington were faced with medical professionals in their area saying that the injuries were as serious as it is possible to be, and were on the balance of probabilities caused non-accidentally, and faced with another child of the family. They had a tough decision to make – either no intervention at all (since if the American experts were right, the parents had done nothing wrong and suffered a huge tragedy AND had that compounded by a criminal trial) or place the issue before the Court to establish whether it was more likely than not that the younger child was at risk. It is of course, awful, that the parents had to go through not only their loss, but two sets of legal proceedings to defend themselves and reach the truth, and that this process was no doubt gruelling, distressing, arduous and all consuming. But I think those who criticise Islington for bringing the case perhaps misunderstand the position that they were in – it wasn’t a second bite of the cherry, but an untenable position that was only capable of being resolved by either the Local Authority taking a gamble that the American experts had been right and there was no risk to this child (and who would have been defending them had they taken that gamble and been wrong) or saying to a Court – this is beyond our scope to decide which set of medics is right, and that’s what you’re there for. The Court could have taken a very robust view of the case at a really early stage and said, having viewed the criminal papers, it is understandable that the Local Authority have brought this case but there is no need for a finding of fact hearing and the Court is satisfied that the threshold isn’t met. That would effectively have taken that burden of managing an unknown risk off the shoulders of the Local Authority. The Court did not do that. The fact that the Court decided that the issues in the case had to be resolved by a four week finding of fact hearing meant that the issues were difficult and needed careful thought and resolution. It might be, I know not, that when the evidence was heard, it was all blindingly obvious what the correct version of events was, but it wasn’t blindingly obvious until that process began, and I think that everyone involved in this process was just in a really difficult situation. Posted in experts, fact finding and tagged fracture, miscarriage of justice?, non-accidental injury, rickets, subdural haematoma. Bookmark the permalink.